A flooring installation contractor is key to a quality flooring project, despite of the type of the flooring, be it carpet, tile, laminate or hardwood. We service allmost all kind of flooring needs from work as simple as sanding and refinishing, to repairs and custom installations. We work closely with many real estate companies and interior designers, as well as home owners throughout area. 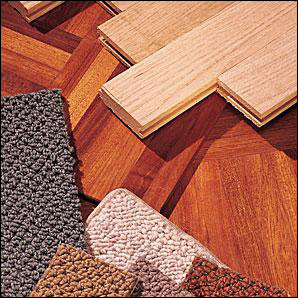 For unit flooring and tile, common area and interior surface needs, we are your partner for a quality project. We posses wide product selection and quality installation service for a job done right the first time while providing products and services that withstand high traffic and continual usage. We have over five years of experience in advising our customers on their flooring requirements and working with them to produce stunning results that will last for years. Whether you are looking for a carpet, laminate or hardwood, tiles installation or simple tile cleaning we can offer our professional services, and make your dreams come true. Home improvement can be so expensive because of various services that you need to obtain. If you are interested about carpet installation, you have to determine if the company can provide good quality items. This material is so useful for making floors.So,Thanks for sharing about this information..